I had previously written about the forthcoming 'blockbuster' UFO documentary movie Sirius, produced by CSETI's Dr. Steven Greer, which promised Free Energy, and a Dead Alien. OK, so I wasted $10 to watch Greer's UFO documentary film Sirius on-line on the night of its Word Premiere in Hollywood. I watched it so you won't have to. First there was the "Red Carpet Coverage" of the Premiere in real-time before the movie, which apparently is no longer available. It was mostly hoopla, with a strong anti-capitalist tone. The first ten minutes or so of the movie were included. As the film opens, we see Greer going into a college auditorium in Santa Monica, the audience being checked with metal detectors for weapons. "Most people don't know what a Dead Man Trigger is." Very few people need one. But Greer has one - if the Conspiracy rubs him out, lots of sensitive documents get sent out to influential people. Excuse me while I barf - If Greer actually had any documents as hot as all that, he would have given them to the press long ago. Dr. Oppenheimer saying, "we have done this (nukes) before." "free energy" claimants, including T. Townsend Brown, Tom Valone, Tom Bearden, Stanley Meyer, John Searl, Eugene Mallove, John Havrilla. Anti-gravity and electro-gravitics claims are made. These supposed "inventors," plus the ET technology, offers us unlimited Free Energy, but a conspiracy by those Greer calls the "Petro-fascists" keeps us using coal, oil, and nuclear power. Part of the Conspiracy is to keep us distracted by other things. Even Honey Boo-Boo is depicted as part of the Conspiracy to keep us distracted from ET truths. The film mentions Greer's May, 2001 Disclosure Project press conference at the National Press Club in Washington, DC. Despite its supposedly impressive list of yarn-spinners (many of whom are returning for the forthcoming Citizens Hearing on UFO Disclosure next week), after a few titilating news stories it mostly fell flat with the news media. But an excuse for this was given: just four months later, the attacks of September 11 resulted in wall-to-wall news coverage, leaving reporters with a mere four months to investigate Greer's ET bombshells. The film does give us some valuable insight into Greer's personality. He mentions having a Near Death experience during an illness when he was seventeen, and describes how he felt a "oneness" not only with the earth, but with the entire universe. Later in the film he said that it is the memory of that NDE that keeps him moving forward in his investigations. I had previously been wondering if Greer is sincere in what he says, or just a huckster who has found a way to make a lot of money off UFO believers. After seeing Sirius I would say that Greer is quite sincere in what he says, and the money aspects comes from effectively taking leadership of an existing group of people who largely think as he does. I found interesting the part about CSETI's CE5 training session, "human-initiated contact," which involves, among other things, meditation and remote viewing. They go into the desert or some other remote place, and shine a flashlight or laser at any light they see in the sky. If it appears to flicker back, that counts as an instance of interstellar communication. Many of the ET craft are "trans-dimensional," and thus are not visible to the human eye. However, they can be seen using night-vision equipment, which apparently has the capability to make trans-dimensional things visible. I once spoke with a fellow at a UFO meeting who had been through Greer's "training," and he was very impressed by it. He explained that, at first, he could not see any of the ET craft that Greer was talking about. But as the training progressed, he learned how to perceive them. 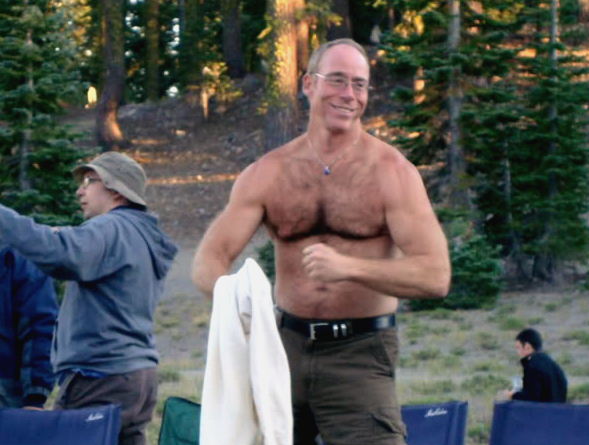 Stud muffin Dr. Steven Greer at one of his CSETI UFO watches. Definitely the Alpha Male of the group. One of the longest expositions of a UFO claim is that of the Big Sur missile-zapping UFO in 1964, as told by Bob Jacobs. This case has been totally picked apart by Kingston George in the Skeptical Inquirer. Morphologic features include that the specimen has only 10 ribs, mild mid face hypoplasia, and shows abnormalities of the skull. The observed abnormalities do not fall into any standard or rare classification of known human pediatric disorders. As represented by a specialist in pediatric human bone and growth disorders (see attached report), the 6 inch specimen is a human that was likely 6-8 years of age at the time of death (age based on epiphyseal plate X-Ray density standards). X-Ray imaging and CT scan results confirmed the specimen is biological and is not a non-human primate. The specimen was concluded by the medical specialist to be a human child with an apparently severe form of dwarfism and other anomalies... Reconstruction of the mitochondrial DNA sequence and analysis shows an allele frequency consistent with a B2 haplotype group found on the west coast of South America, supporting the claimed origination of the specimen from the Atacama Desert region of Chile. Sequence analysis definitively rules out the specimen as an example of a New World primate. So, supposedly the little critter is a human child, at least 6 years old, and only six inches long. This sounds almost as implausible as an ET. I am wondering what precautions have been taken against deliberate DNA contamination? In the case of the Metepec, Mexico humanoid that was promoted by Jaime Maussan, the hoaxer Urso Moreno Ruiz confessed, "It’s just the corpse of a skinned squirrel-monkey. I took its ears out and involved it with all the hair and fluids of all animals I could find, then I dried it. All samples they take of it will come out as being of different animals." Is is possible that something similar has happened with the Atacama humanoid? In the end, no halfway intelligent person will be swayed by this film. The only people who will be impressed will be those who breathlessly await each new episode of Ancient Aliens on the History Channel. That "Citizen Hearing" on UFO "Disclosure"
An event with historical implications will be held at the National Press Club in Washington, DC from April 29 to May 3, 2013. At that time as many as forty researchers and military/agency witnesses will testify for thirty hours over five days before former members of the United States Congress... The Citizen Hearing on Disclosure of an extraterrestrial presence engaging the human race will attempt to accomplish what the Congress has failed to do for forty-five years - seek out the facts surrounding the most important issue of this or any other time. But of course, to lobby for "disclosure" implies that there is something to "disclose," which is highly dubious. And to hold a valid "hearing" implies that witnesses are queried under oath, which of course will not be the case, leaving them free to fabricate as much as they please without fear of repercussions. The five former members of Congress are being paid a reported $20,000 each by Paradigm to participate in this circus. "Former Alaska senator and presidential candidate Mike Gravel [Dem/Lib,AK] is participating in a forum that seeks to prove that aliens have visited earth"
Former Rep. Merrill Cook, [R-Utah] says he "doesn’t believe aliens have made contact with Earth, but he promises to keep an open mind as he participates in 30 hours of testimony in a mock hearing". Another is from Michigan: "A group hoping to prove alien contact with Earth has tapped former U.S. Rep. Carolyn Cheeks Kilpatrick to help convince the federal government to acknowledge the existence of extraterrestrials. The Detroit Democrat will help preside over 30 hours of congressional-style hearings." The other participants are former representatives Lynn Woolsey [D-CA], and Roscoe Bartlett [R-MD]. As for those giving "testimony," it's mostly the usual suspects whose stories we've heard over and over. Sgt. Jim Penniston (USAF-Ret) claims to have not only seen a UFO land at Rendlesham, UK, but to have received a binary message from it, telepathically, that is now being deciphered. Although the incident occurred in 1980, these details were just revealed (or, more likely, just made up) in 2010. Dr. Steven Greer, whose new documentary movie Sirius promises Free Energy and a Dead Alien. "The Earth has been visited by advanced Inter-Stellar Civilizations that can travel through other dimensions faster than the speed of light," according to Greer. Richard Dolan, whose most recent talk at the International UFO Congress was about 'mysteries' of ancient pyramids, UFO crash retrievals, reverse-engineeered alien technology, a "secret space program," human-alien hybrids, telepathic alien contact, and mind control. Linda Moulton Howe, who routinely makes all kinds of wild claims, such as that aliens are using lasers to remove body parts from dead cows. Actually, there is nothing "historic" about this farcical "hearing." Every couple of years, something like this comes down the pike, and impresses nobody. On September 27, 2010, UFOlogist Robert Hastings organized a "Disclosure Conference" also at the National Press Club in Washington, DC. 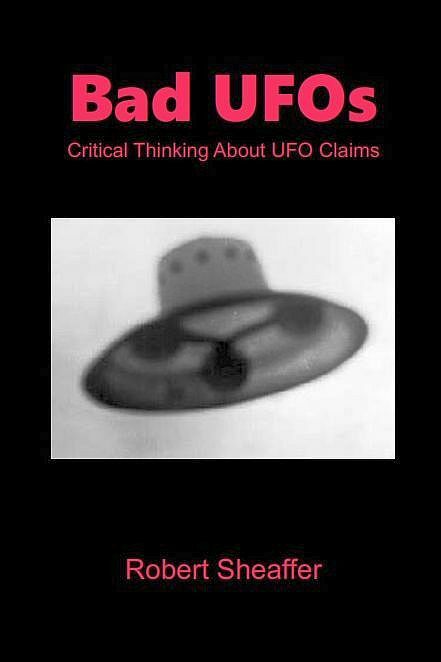 Many claims were made about UFOs supposedly interfering with U.S. nuclear missiles, as if the aliens were pacificsts. (However, the Russian-born UFOlogist Paul Stonehill has elsewhere claimed that UFOs attempted to launch Soviet missiles, as if the aliens were war mongers.) A rebuttal to one of Hastings' main cases is here. On April 20, 2009, Bassett and Paradigm Research hosted a "disclosure" press conference at the National Press Club. Among the speakers then were Edgar Mitchell, Nick Pope, Richard Dolan, and Roger Leir, who are all also speaking in 2013. 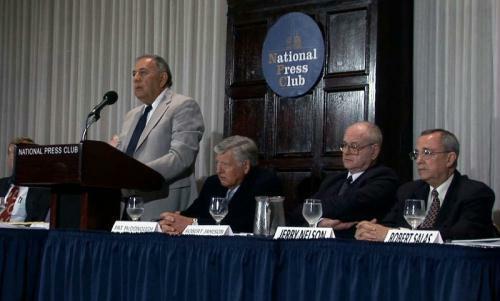 On April 21, 2008, Bassett and Paradigm Research held a UFO-related Press Conference at the National Press Club in Washington, DC. Among the speakers were Richard Dolan and Grant Cameron, who will both be speaking again in 2013.
to demand that presidential candidates support a "truth amnesty" to end the "government-imposed truth embargo on the facts confirming an extraterrestrial presence." Among the participants was Alfred Lambremont Webre, who recently has been claiming that Barack Obama was teleported to Mars in the 1980s. Bassett presented Webre with a Lifetime Achievement award in 2007 for his work for 'disclosure,' although Bassett has since distanced himself from Webre's Mars Teleportation claims. On November 12, 2007, James Fox and Leslie Kean hosted a press conference in Washington, DC, with many of the same witnesses, many of the same claims. The tales told at this press conference were made into the documentary movie I Know What I Saw. Among Paradigm's 2013 speakers Penniston, Pope, and Santa-Maria also spoke then. On May 9, 2001, with much ballyhoo Steven Greer launched his UFO "Disclosure Project" with a press conference at the National Press Club. The 2013 Paradigm speakers who also spoke in 2001 are Nick Pope, Edgar Mitchell, Robert Salas, George A. Filer, Robert Wood, and Steven Greer. It is unclear if these "witnesses" will have anything substantial to add to the claims they made in the 2001 press conference. So clearly, in the matter of 'Disclosure,' there is "nothing new under the sun." I hope I didn't forget any other "UFO disclosure" press conferences. If I did, please let me know! The above is Rachel Maddow's show on MSNBC for April 12, largely devoted to what she describes as these "fake hearings." Thank you all for your enthusiastic response to the "Sirius" premiere. We have sold out of the main theater, but have another theater in the same complex. You can still be a part of the Red Carpet excitement and the Sirius Premiere. Tickets for theater B now available for only $15. Greer delivers a similar message in the highly-controversial conspiracy-oriented movie Thrive. The bizarre and conspiratorial political message of that movie has riled both the left and the right. Dr. Jan Bravo- who is a [MUFON] STAR Board member and a fellow Emergency Physician- and I have actually visited the group that possesses this EBE and have personally and professionally examined the being. It is indeed an actual deceased body, and most certainly is not plastic or man-made. It has a head, 2 arms and 2 legs and is humanoid . We have seen and examined X-Rays of the being. Its anatomy however is not homo sapien (modern human) or any known hominid (predecessors to humans). This little alien is only six inches long. The money was, indeed, duly raised. 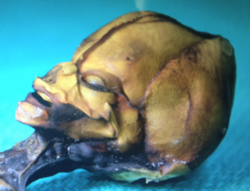 The movie now promises "the paradigm shifting physical evidence of a medically and scientifically analyzed DNA sequenced humanoid creature of unknown classification found in the Atacama desert, Chile." Remarkable, if true. It will be fascinating to learn how DNA sequences that allegedly evolved on an alien planet compare with our own. 'Informed sources' are saying that Greer's dead E.T. 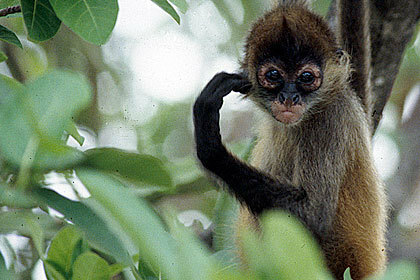 is actually an immature spider monkey. I cannot confirm that, however it sounds a lot more likely than a dead E.T. Recently Greer said that he now has a friendly 'alien familiar' name Bijoux, who has been following him around. I hope that Greer didn't accidentally run over Bijou in his truck?